A neuroscientist (or neurobiologist) is a scientist who has specialised knowledge in the field of neuroscience, the branch of biology that deals with the physiology, biochemistry, anatomy and molecular biology of neurons and neural circuits and especially their association with behaviour and learning. Neuroscientists focus primarily on the study and research of the nervous system. The nervous system is composed of the brain, spinal cord and nerve cells. Studies of the nervous system may focus on the cellular level, as in studies of the ion channels, or instead may focus on a systemic level as in behavioural or cognitive studies. A significant portion of nervous system studies is devoted to understanding the diseases that affect the nervous system, like multiple sclerosis, Alzheimer's, Parkinson's, and Lou Gehrig's. Research commonly occurs in private, government and public research institutions and universities. The overall median salary for neuroscientists in the United States was $79,940 in May 2014[where?]. Neuroscientists are usually full-time employees. Below, median salaries for common work places in the United States are shown. Neuroscientists research and study both the biological and psychological aspects of the nervous system. Once neuroscientists finish their post doctoral programs, 39% go on to perform more doctoral work, while 36% take on faculty jobs. Neuroscientists use a wide range of mathematical methods, computer programs, biochemical approaches and imaging techniques such as magnetic resonance imaging, computed tomography angiography, and diffusion tensor imaging. Imaging techniques allow scientists to observe physical changes in the brain, as signals occur. Neuroscientists can also be part of several different neuroscience organizations where they can publish and read different research topics. Neuroscientists typically enroll in a four-year undergraduate program and then move on to a PhD program for graduate studies. Once finished with their graduate studies, neuroscientists may continue doing postdoctoral work to gain more lab experience and explore new laboratory methods. In their undergraduate years, neuroscientists typically take physical and life science courses to gain a foundation in the field of research. Typical undergraduate majors include biology, behavioral neuroscience, and cognitive neuroscience. Many colleges and universities now have PhD training programs in the neurosciences, often with divisions between cognitive, cellular and molecular, computational and systems neuroscience. Neuroscience has a unique perspective in that it can be applied in a broad range of disciplines, and thus the fields neuroscientists work in vary. Neuroscientists may study topics from the large hemispheres of the brain to neurotransmitters and synapses occurring in neurons at a micro-level. Some fields that combine psychology and neurobiology include cognitive neuroscience, and behavioural neuroscience. Cognitive neuroscientists study human consciousness, specifically the brain, and how it can be seen through a lens of biochemical and biophysical processes. Behaviorial neuroscience encompasses the whole nervous system, environment and the brain how these areas show us aspects of motivation, learning, and motor skills along with many others. 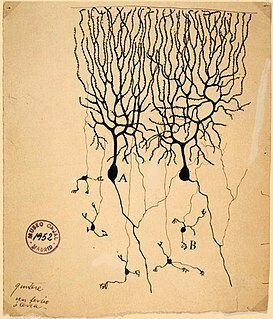 Walter Rudolf Hess and António Caetano Egas Moniz (1949) for discovery of the functional organization of the midbrain and for the controversial therapeutic value of leucotomy respectively. Roger Guillemin and Andrew V. Schally (1977) for discovering the production on the brain of the peptide hormone. Roger W. Sperry, David H. Hubel and Torsten N. Wiesel (1981) for discoveries concerning the cerebral hemispheres specialization and the visual system respectively. 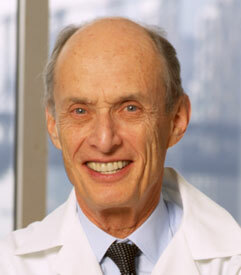 Thomas C. Südhof (2013) for the discovery of the precise neurotransmitters release control system. Dr. Cameron Goodkin, main character in Stitchers. Before his work at the NSA, he was a researcher at MIT. ^ "the definition of neurobiology". Dictionary.com. Archived from the original on 2017-02-02. Retrieved 2017-01-27. ^ "Neuroscience Jobs Available in a Variety of Industries". Archived from the original on 2015-03-10. ^ "Careers". Archived from the original on 2015-04-08. Retrieved 2015-04-22. ^ "Entenda o que é um neurocientista". 2018-08-13. ^ "Neuroscientist: Job Description, Duties and Requirements". Study.com. Archived from the original on 2016-03-26. Retrieved 2016-03-29. ^ a b c d "Medical Scientists : Occupational Outlook Handbook: : U.S. Bureau of Labor Statistics". www.bls.gov. Archived from the original on 2016-03-25. Retrieved 2016-03-29. ^ "Where Are the Neuroscience Jobs?". www.sciencemag.org. 2011-11-18. Archived from the original on 2016-03-17. Retrieved 2016-03-29. ^ "What Should I Expect from a Neuroscience Job? (with pictures)". wiseGEEK. Archived from the original on 2016-04-16. Retrieved 2016-03-29. ^ "Neuroscience College Degree Programs - The College Board". bigfuture.collegeboard.org. Archived from the original on 2016-04-20. Retrieved 2016-03-30. ^ "How To Become A Cognitive Neuroscientist | CareersinPsychology.org". careersinpsychology.org. Archived from the original on 2016-03-29. Retrieved 2016-03-29. ^ "Cognitive & Behavioral Neuroscience". www.psychology.ucsd.edu. Archived from the original on 2016-04-01. Retrieved 2016-03-30. ^ a b c Gross, Charles (1987). "Early History of Neuroscience" (PDF). Encyclopedia of Neuroscience. Archived (PDF) from the original on 2016-03-03. ^ McBean, Douglas (2012). Applied Neuroscience for the Allied Health Professions. Elsevier Health Sciences. pp. 2–3. ^ Gross, Charles (1987). Neuroscience, Early History of. Encyclopedia of Neuroscience. pp. 843–847. ^ a b c d e Diamond, Adele; Amso, Dima (2008-04-01). "Contributions of Neuroscience to Our Understanding of Cognitive Development". Current Directions in Psychological Science. 17 (2): 136–141. doi:10.1111/j.1467-8721.2008.00563.x. ISSN 0963-7214. PMC 2366939. PMID 18458793. ^ "The Nobel Prize in Physiology or Medicine 1906 - Speed Read". www.nobelprize.org. Archived from the original on 2016-04-23. Retrieved 2016-03-28. ^ "The Nobel Prize in Physiology or Medicine 1932 - Speed Read". www.nobelprize.org. Archived from the original on 2016-04-01. Retrieved 2016-03-28. ^ "The Nobel Prize in Physiology or Medicine 1936 - Speed Read". www.nobelprize.org. Archived from the original on 2016-04-01. Retrieved 2016-03-28. ^ "The Nobel Prize in Physiology or Medicine 1944 - Speed Read". www.nobelprize.org. Archived from the original on 2016-04-01. Retrieved 2016-03-28. ^ Sutherland, John (2004-08-02). "John Sutherland: Should they de-Nobel Moniz?". the Guardian. Retrieved 2018-11-20. ^ "The Nobel Prize in Physiology or Medicine 1963 - Speed Read". www.nobelprize.org. Archived from the original on 2016-04-01. Retrieved 2016-03-28. ^ "The Nobel Prize in Physiology or Medicine 1970 - Speed Read". www.nobelprize.org. Archived from the original on 2016-04-01. Retrieved 2016-03-28. ^ "The Nobel Prize in Physiology or Medicine 1977". NobelPrize.org. Retrieved 2018-11-20. ^ "The Nobel Prize in Physiology or Medicine 1981". NobelPrize.org. Retrieved 2018-11-20. ^ "The Nobel Prize in Physiology or Medicine 1986 - Speed Read". www.nobelprize.org. Archived from the original on 2016-04-01. Retrieved 2016-03-28. ^ "The Nobel Prize in Physiology or Medicine 1991 - Speed Read". www.nobelprize.org. Archived from the original on 2016-04-01. Retrieved 2016-03-28. ^ "The Nobel Prize in Physiology or Medicine 2000 - Speed Read". www.nobelprize.org. Archived from the original on 2016-04-01. Retrieved 2016-03-28. ^ "The Nobel Prize in Physiology or Medicine 2004". NobelPrize.org. Retrieved 2018-11-20. ^ "The Nobel Prize in Physiology or Medicine 2013". NobelPrize.org. Retrieved 2018-11-20. ^ "The Nobel Prize in Physiology or Medicine 2014". Archived from the original on 2014-10-07. Sir John Carew Eccles was an Australian neurophysiologist and philosopher who won the 1963 Nobel Prize in Physiology or Medicine for his work on the synapse. He shared the prize with Andrew Huxley and Alan Lloyd Hodgkin. 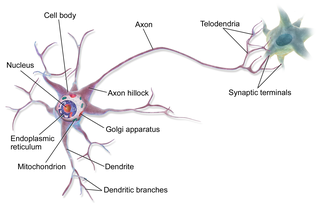 A neuron, also known as a neurone or nerve cell, is an electrically excitable cell that communicates with other cells via specialized connections called synapses. It is the main component of nervous tissue. All animals except sponges and placozoans have neurons, but other multicellular organisms such as plants do not. Neuroscience is the scientific study of the nervous system. It is a multidisciplinary branch of biology that combines physiology, anatomy, molecular biology, developmental biology, cytology, mathematical modeling and psychology to understand the fundamental and emergent properties of neurons and neural circuits. The understanding of the biological basis of learning, memory, behavior, perception, and consciousness has been described by Eric Kandel as the "ultimate challenge" of the biological sciences. May-Britt Moser is a Norwegian psychologist, neuroscientist, and head of department of the Centre for Neural Computation at the Norwegian University of Science and Technology (NTNU). She and her then-husband, Edvard Moser, shared half of the 2014 Nobel Prize in Physiology or Medicine, awarded for work concerning the grid cells in the entorhinal cortex, as well as several additional space-representing cell types in the same circuit that make up the positioning system in the brain. John O'Keefe, is an American-British neuroscientist and a professor at the Sainsbury Wellcome Centre for Neural Circuits and Behaviour and the Research Department of Cell and Developmental Biology at University College London. He discovered place cells in the hippocampus, and that they show a specific kind of temporal coding in the form of theta phase precession. In 2014 he received the Kavli Prize in Neuroscience "for the discovery of specialized brain networks for memory and cognition", together with Brenda Milner and Marcus Raichle. He shared the Nobel Prize in Physiology or Medicine also that year, together with May-Britt Moser and Edvard Moser. The Department of Neurobiology at Harvard Medical School is located in the Longwood Medical Area of Boston, MA. It is consistently ranked as one of the top programs in Neurobiology and behavior in the world. The Department is part of the Basic Research Program at Harvard Medical School, with research pertaining to development of the nervous system, sensory neuroscience, neurophysiology, and behavior. The Department was founded by Stephen W. Kuffler in 1966, the first department dedicated to Neurobiology in the world. The mission of the Department is “ to understand the workings of the brain through basic research and to use that knowledge to work toward preventive and therapeutic methods that alleviate neurological diseases”.